How much should be invested up front to mitigate future building damage? The CSHub-developed Break-Even Mitigation Percent (BEMP) is a simple, practical metric that offers building designers and owners a way to make better risk-informed decisions. 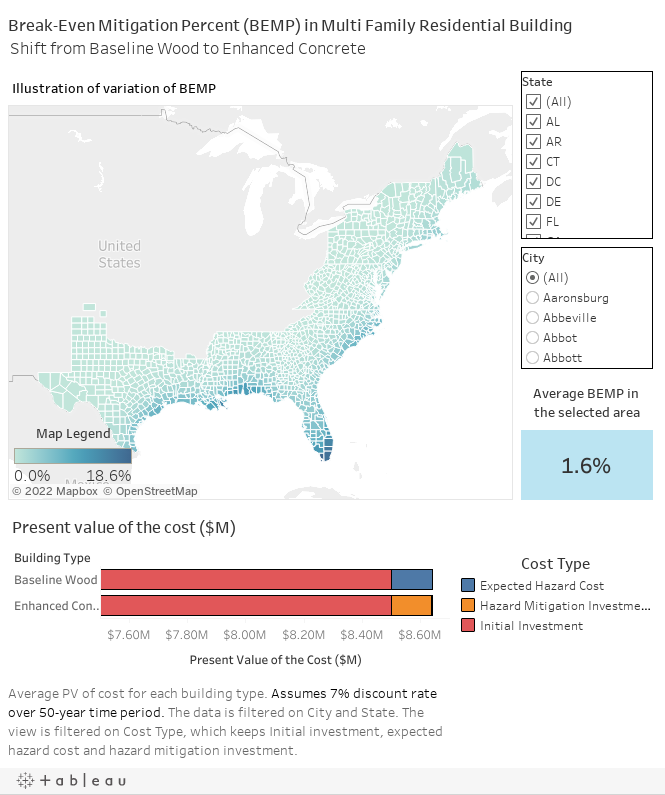 Use the tool below to calculate the BEMP for eastern U.S. coastal communities prone to damage from hazards related to hurricanes.